Feel free to lol at the odd placement of my legs. I am not actually mega tall or hitting the roof of my apartment it’s just because I am standing on futon thing. 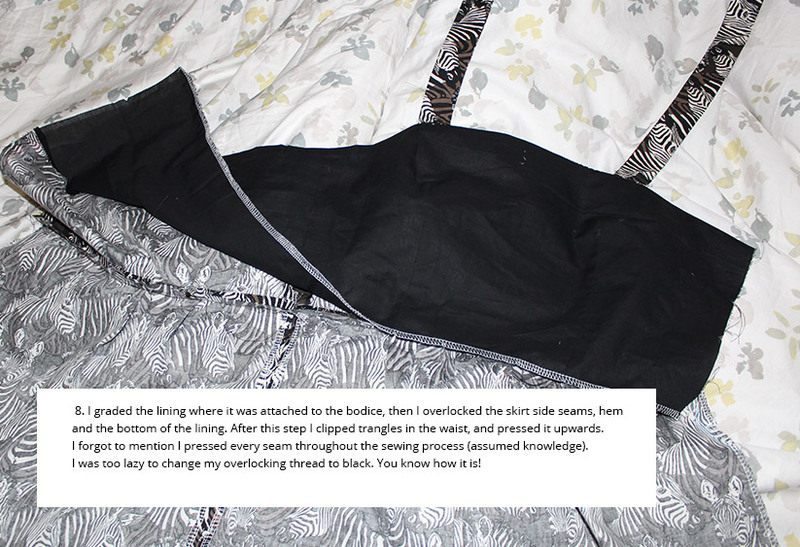 I bought the fabric about a year ago at spotlight and I originally intended to make a skirt out of it. I’m so glad I made a dress instead! 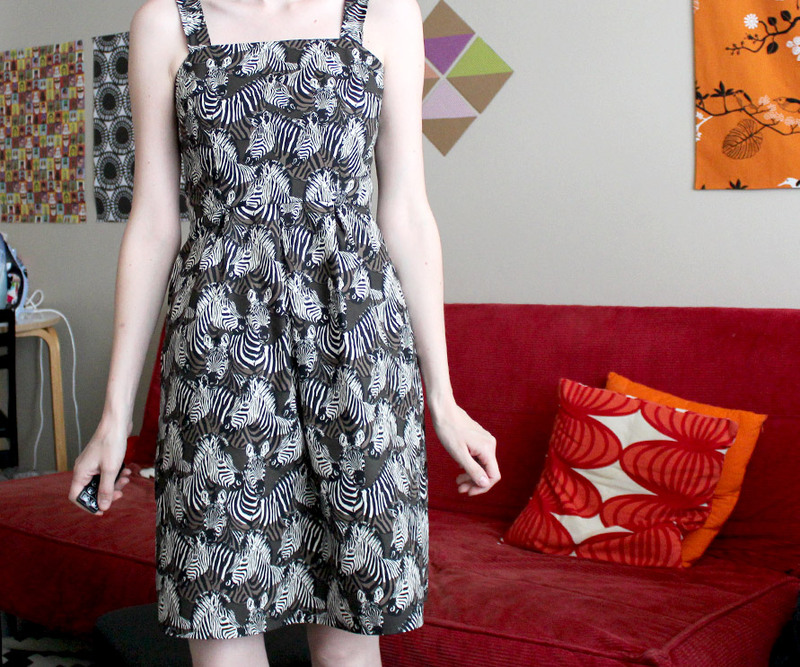 There wasn’t a lot of fabric to work with but there was easily enough for Simplicity 2417 (my stash busting pattern)! I realize wearing such a busy print is not everyone’s cup of tea but I enjoy it. I love busy prints! Every time I make a dress out of a poly/cotton like this one, the garment gets a lot of wear because the fabric barley creases and its really durable! I wore the dress today during a Christmas shopping expedition with my mum. It’s pretty comfortable and easy to wear (the waist is nice and roomy). I wore it chunky wooden platform shoes. My mum approved :). 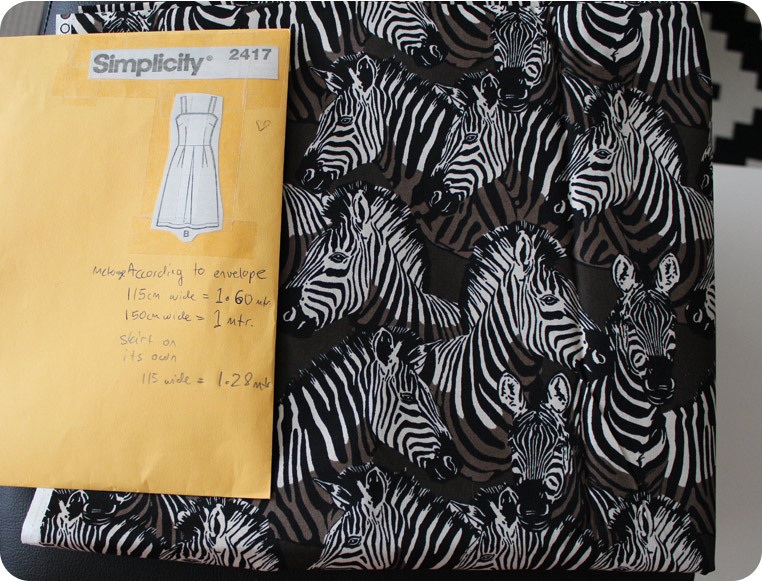 So to conclude my foolishness: Zebras are awesome and now I have a dress covered in them. Mission accomplished! This dress was so quick and easy! I want to make more very soon! Check out my previous post if you wanted to see how I constructed the dress. If you click on the image it will open a much larger version of it in another tab in your browser and it will give you a somewhat detailed description of what I did. 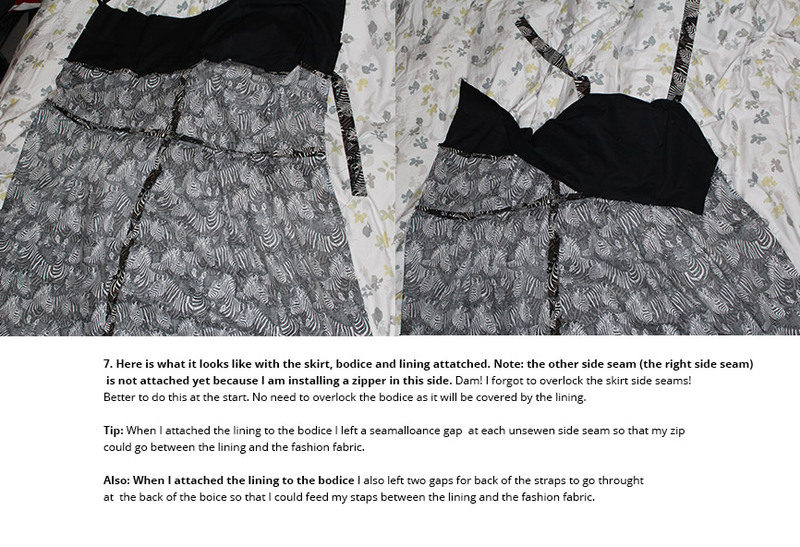 Note: I may have missed steps in my explanation… I just wanted to highlight the way I construct a dress with straps that has a lined bodice. 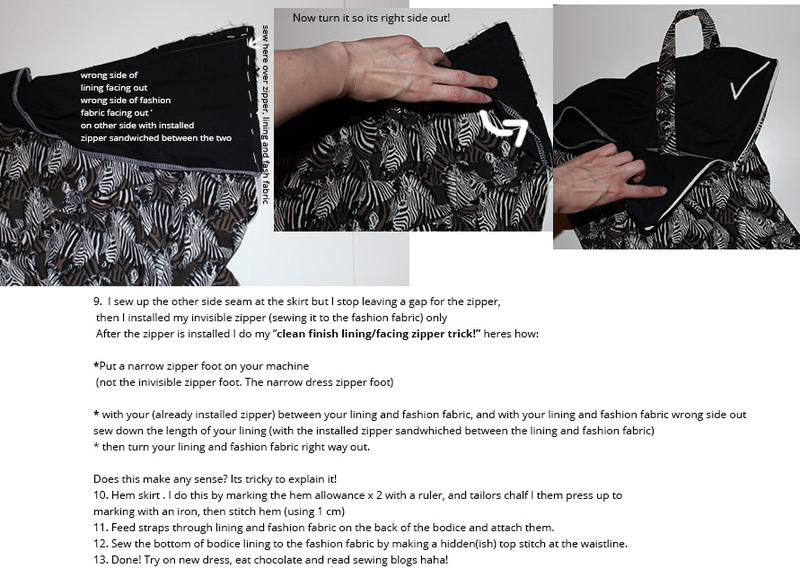 I never follow pattern instructions, so my process may be different! I used simplicity 2417 I have made a dress from this pattern before. I love this pattern, because its simple, quick to sew and uses such a small amount of fabric (compared to your average dress). Ok heres my process… If you click on the image it will open a much larger version of it in another tab in your browser and it will give you a somewhat detailed description of what I did. 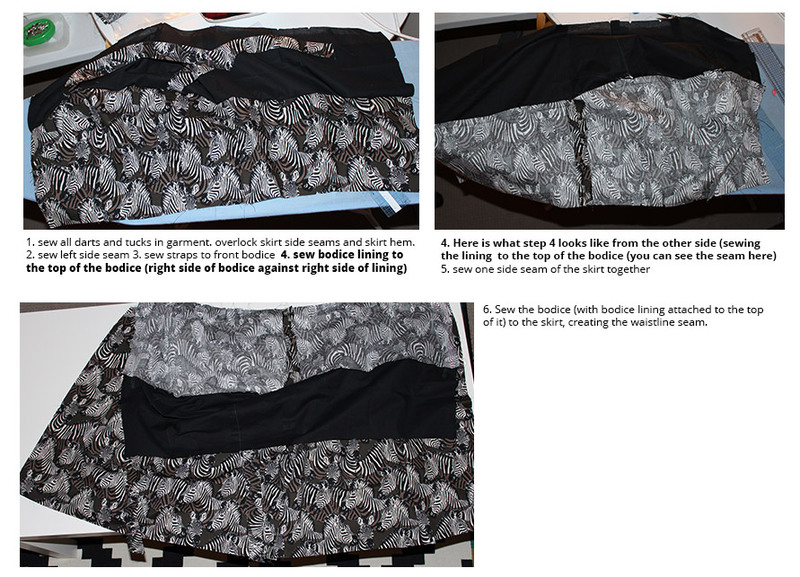 Note: I may have missed steps in my explanation… I just wanted to highlight the way I construct a dress with a lined bodice and straps. I never follow pattern instructions, so my process may be different!